Fox News thinks Alexandria Ocasio-Cortez is funny and not in a good way. I seldom watch Fox News — you probably could have guessed that. But I do occasionally watch clips. In this particular clip, they were laughing at Ocasio-Cortez because she was having difficulties moving to DC. A few days ago Ocasio-Cortez made public that she was having financial trouble. She was elected to the House of Representatives and now must move to DC to begin work in January. One of the reasons poor people don’t move to where jobs are more plentiful is because moving is hella expensive and DC is one of the most expensive towns in the country. Ocasio-Cortez won’t get a paycheck until February. At the time of this writing, she has made arrangements for a place to stay until the salary kicks in. The reason this particular clip about Ocasio-Cortez bothered me is that liberals are always parodied as “elites” who look down and make fun of ordinary working people. But Ocasio-Cortez got laughed at when she said she couldn’t afford to move to DC. Forty years ago about 60% of the country was in the middle class. Now it’s about 20%. The old middle class had a savings account. They saved for the kids to go to college. They took week-long vacations every year. The owned their house and a couple of cars. The modern equivalent of those people seldom takes a vacation because employers don’t offer it — or sick leave, for that matter. Savings? Are you kidding? Now there’s nothing left over at the end of the month. Emergencies go on a credit card. If the roof starts to leak or if the car breaks down, it goes on a credit card — almost as bad as a payday loan. Ocasio-Cortez had what has become a standard American job in the service industry. Tending bar is enough to pay rent and buy groceries, but not much else. Ninety-eight percent of Congress are millionaires. The Fox News commenters are all millionaires. The people who sneer about the “elites” looking down on the “little people” ARE elites who do look down on people. Yes, they are hypocrites. Everybody is a hypocrite about something. I know that. But this rankled because it could have been me. I absolutely could not afford to move to DC. If I wanted to move one block over, I’d have to take out a loan to do it. Most of my credit card debt is not because I bought a designer handbag (most of them are so ugly I wouldn’t want one) but because the clutch went out on the car and a there was a dental bill that insurance didn’t cover. 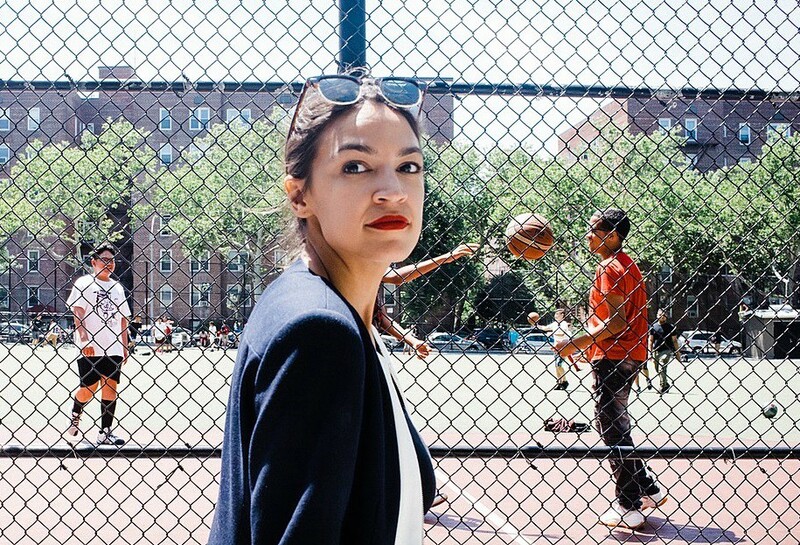 Why is Ocasio-Cortez my girl? Because she couldn’t afford to move to DC and she and I know why. Fox News made it clear that Ocasio-Cortez is not their girl. She’s not rich and it disturbs them when not-rich people try to gain a little power. That’s why they hate unions so much. People who put the co-pay for a twisted ankle on a credit card because they can’t afford it can only get power when they gang together. That’s why gangs tend to inhabit the poorest neighborhoods. It provides a shred of power. A healthy, productive gang is called a union or a voting bloc, or an association. Breaking those things up when they form is a way to keep people powerless. Maybe the Fox News millionaires were laughing because they don’t think she’s going to make a difference. And maybe they were laughing because they’re nervous. And shout-out to Sean Hannity for posting Ocasio-Cortez’s agenda on his show. It still puts a smile on my face!